Coca-Cola flavors distributed by Bev Tech come in 5-gallon and 2.5-gallon bag in box. Each 5-gallon box makes 30 gallons of finished product. Each 2.5 gallon box makes 15 gallons of finished product. 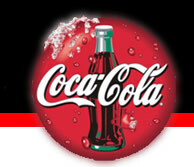 Coca-Cola Foodservice is pleased to offer a wide variety of Minute Maid, Orchard's Best, and juice drink products. Juice products are avialable in frozen concentrate dispensed form, chilled, frozen, single serve form, and shelf stable Bag-in-Box dispensed form.